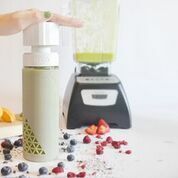 SANS Bottle is a sleek and stylish glass travel bottle with an innovative pump mechanism that removes air to preserve juices and smoothies. SANS Bottle got an immediate response from busy people on-the-go on Kickstarter. 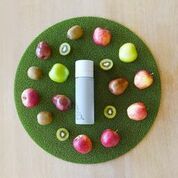 We are grateful for the support of our enthusiastic backers who are evidence that SANS is a great solution for those who lead a healthy lifestyle on-the-go. 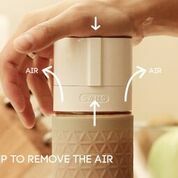 SANS bottle, the reusable glass travel bottle designed to preserve the life of smoothies and juices with an innovative vacuum pump, has surpassed its goal of $20,000 with over 275 backers in its first week on Kickstarter. 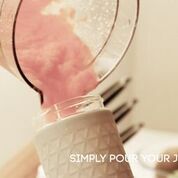 Juices and smoothies are expensive to buy and time-consuming to blend. 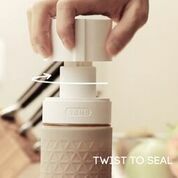 SANS Bottle allows juice and smoothie lovers to preserve time, money, and nutritional value – by keeping drinks perfectly vacuum sealed to avoid the rapid oxidation that causes drinks to go bad quickly. The concept follows similar principals that wine makers use to store and prolong the freshness of red wine. 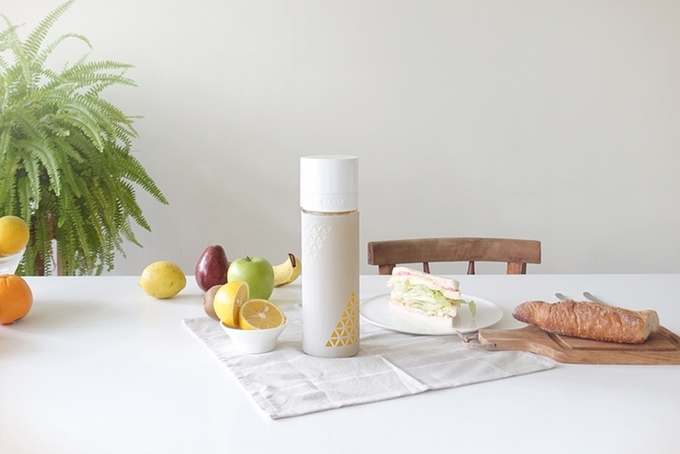 A team of nutritionists, designers, and engineers in New York City and Taipei collaborated with Miller to get the SANS Bottle technology just right. 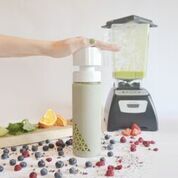 It took over a year to design, create and test to ensure this one-of-a-kind product is perfect to preserve juices and smoothies. Pour a drink of choice (even wine) into the glass bottle. 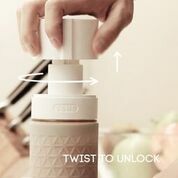 Attach the lid and twist to unlock, which will simultaneously release the pump. Using the palm of your hand pump the preserver cap up and down to remove the air. The pump will become more difficult to pump once you have achieved preservation and removed all the air. Once complete, push the pump down and twist 90 degrees to lock. The beverage is now preserved and sealed in an 16oz reusable glass container. 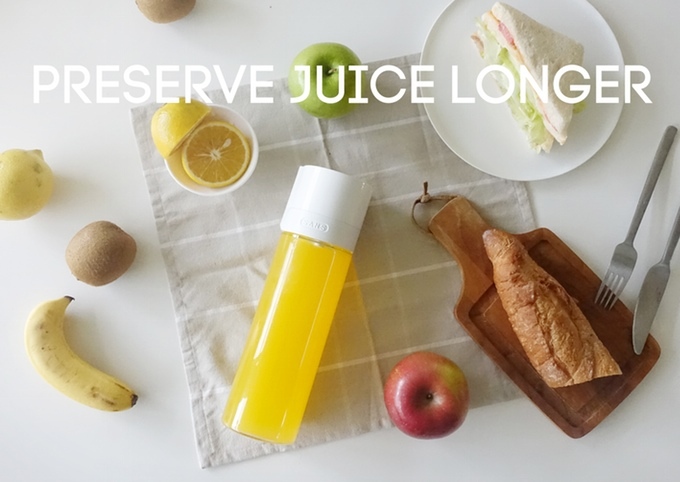 SANS Bottle juice and smoothie preserving travel bottles will continue to be available with early bird bargain pricing on Kickstarter through April 1st. 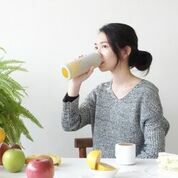 The SANS team is a group of young designers and entrepreneurs based in New York City and Taipei who are passionate about juicing, health, fitness and design. After experiencing our own frustrations from the lack of preservation options in this category, we decided to do something about it. We have been working on this project for over a year and we are finally ready to share SANS Bottle with the world. If you're one of the millions of people who take health and fitness seriously, you're going to need to get your hands on a SANS Bottle.